President Emmerson Mnangagwa faced growing pressure yesterday over remarks made by Justice minister Ziyambi Ziyambi in Parliament that government never promised to solve the current cash crisis in 100 days. 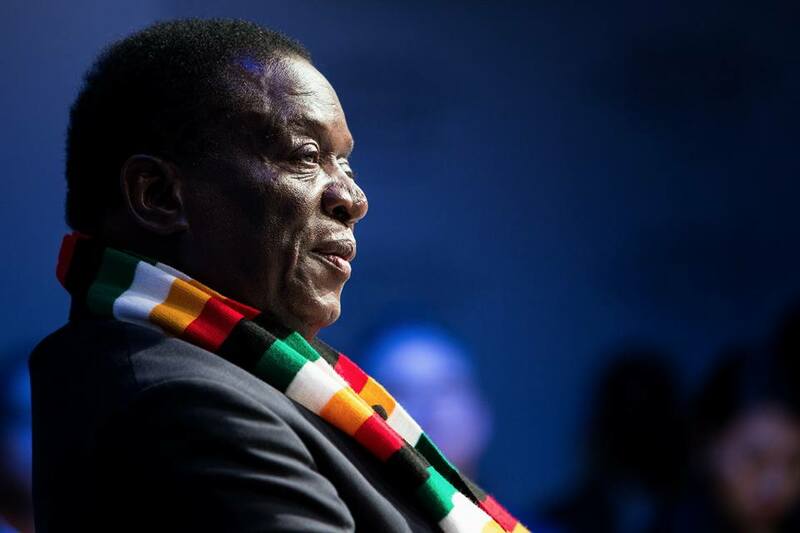 Sworn in days after the overthrow of Robert Mugabe, Mnangagwa promised to guarantee the rights of foreign investors and to re-engage with the West, but his main failing in the eyes of many is his inability to live up to promises to ease cash shortages. “The liquidity challenges, which have bedevilled the economy, must be tackled head-on, with real solutions being generated as a matter of urgency. People must be able to access their earnings and savings as and when they need them,” Mnangagwa said in his inauguration speech at the National Sports Stadium on November 24. Justice minister Ziyambi on Wednesday told the National Assembly that Mnangagwa never promised the nation that cash shortages will end in his first 100 days in office, in remarks that critics have interpreted as acknowledgement that the promise to end cash shortages in 100 days was pie in the sky. Ziyambi was responding to a question by Glen View North MDC MP Fani Munengami who had asked when Mnangagwa would fulfil his inauguration promises to end cash shortages in 100 days. “Government never promised that cash shortages will end overnight and it was never written in black and white that cash shortages will end overnight,” Ziyambi said to howls of disapproval in the National Assembly. “It is a programme to ensure that the economy is turned around and it is not something that you expect someone to get in and overnight things change. “It is work in progress and within our 100-day plan, I do not remember anywhere where it is written that the cash shortages are going to be turned within the 100 days and no queues will be there. “When the president came in, he promised to introduce a new culture of working and of accountability. Hence the government came-up with the 100-day targets to ensure that we turn around the economy and introduce a new culture and work ethic. “Among the targets which were set, nobody indicated that the problem of cash is a problem that can be overturned overnight,” Ziyambi said. He spoke as long-suffering Zimbabweans and pensioners continue to experience pain and chaos at banks as they desperately seek to withdraw their money. This is despite the government’s introduction of bond notes in its desperate bid to improve the availability of money. A fuming independent Norton MP, Temba Mliswa said the Finance and Economic Planning minister Patrick Chinamasa has not been in the National Assembly for two months, yet the cash shortages were getting critical. “If the government cannot solve the cash crisis, then they have failed,” Mliswa fumed. Chinamasa has said the cash shortages are being caused by citizens who kept their money at home rather than with banks. On its part, the Reserve Bank of Zimbabwe (RBZ) has blamed the shortages of cash on rampant externalisation and high imports. “There is no confidence in our economy. The main illness of our economy is lack of confidence and trust,” Chinamasa said. “In Zimbabwe’s case cash is there but not circulating. Why there is no circulation is that people don’t believe that if they put their money in the bank today they will get it when you want to use it. But critics said the short message from Ziyambi is that the government is failing to end cash shortages and is not going to meet its promises. Mnangagwa staked his political fate on a promise to end cash shortages and revive the economy, and his failure to turn around the country’s finances so far is beginning to attract scorn from long-suffering Zimbabweans. Meanwhile, critics are saying the economy is not only dying, but is stuck in near-stagnation. Some say the economy was in free-fall when he took over, close to an outright depression and he must be given time. Economic analyst Kipson Gundani said there is a confidence hole, and as long as there is financial market distortion, government will not be successful in solving the cash crises. “Before the introduction of bond notes, there were few dollars which were circulating, those dollars were not exported they are still here and I think there is a problem in money circulation. In simple terms, the bond notes distorted the financial market. Bond notes are no longer serving their purpose. “The ideal situation is to take them out and sterilise excess RTGS balances. By doing this, there will be a gap in the market and dollars will start to trickle back. “We need to do away with this 1:1 fictitious exchange rate and do a proper exchange rate. Another solution I think is to adopt the rand as the ‘trading currency’,” Gundani said. Confederation of Zimbabwe Industries (CZI) president Sifelani Jabangwe said the government must deal with the issue of smuggling to improve cash shortages. “The cause of cash shortages is a bit complicated, there is need to deal with the issue of smuggled goods. Currently, when people get money, they go to black market to buy goods, that money will end up in South Africa. “Government must make sure that informal traders must import goods in a formal way. Informal traders are not registered and they are not paying tax.